We will consider all GIA graded diamonds. Which diamond shapes do you buy? 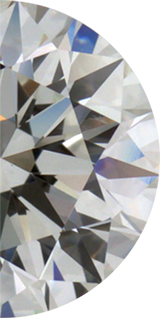 We buy all modern diamond shapes such as Round Brilliant Diamond, Pear Brilliant Diamond, Oval Brilliant Diamond, Princess Cut Diamond, Marquise Brilliant Diamond, Cushion Cut Diamond, Radiant Cut Diamond, Asscher Cut Diamond, Emerald Cut Diamond, Heart-Shaped Brilliant Diamond, Trillion Diamond, Baguette Diamond, Modified Brilliant Diamond, Cut Cornered Modified Brilliant Diamond, Cut Cornered Square Modified Brilliant Diamond, Cut Cornered Rectangular Modified Brilliant Diamond, Square Emerald Cut Diamond, Square Modified Brilliant Diamond, Rectangular Modified Brilliant Diamonds, Single Cut Diamonds, Full Cut Diamonds, etc. We buy diamonds of various proportions. Excellent Cut Diamonds, Very Good Cut Diamonds, Good Cut Diamonds, Fair Cut Diamonds, Average Cut Diamonds, even Poor Cut Diamonds. We purchase diamonds with any combination of polish and symmetry. Do you buy branded or specialty cut diamonds? We buy branded and specialty cut diamonds such as: Ideal Cut Diamonds, Hearts and Arrow Diamonds, Signature Cut Diamonds, Lazare Kaplan Diamonds, Tolkowsky Ideal Cut Diamonds, Ashoka Cut Diamonds, Asprey Cut Diamonds, Barocut, Context Diamonds, Corona Diamonds, Crisscut Diamonds, Czar Cut Diamonds, Escada Cut Diamonds, Korloff Cut Diamonds, Eternal Cut Diamonds, Flanders Ideal Square Diamonds, Flower Cut Diamonds, Grace Cut Diamonds, Half Moon Diamonds, Jubilant Cut Diamonds, Lucida Diamonds, Noble Cut Diamonds, Tycoon Cut Diamonds, Lucere Diamond Diamonds, Web Cut Diamonds, Victorian Cut Diamonds, Regent Cut Diamonds, Phoenix Cut Diamonds, Prince Cut Diamonds, Royal Assher Cut Diamonds, Bluenile GIA Diamonds, Bluenile Diamonds, etc. Who buys old cut diamonds or antique diamonds? We purchase diamonds with older and antique proportions such as Old Miner Cut Diamonds (OMC), Old European Cut Diamonds (OEC), Transitional Cut Diamonds, Rose Cut Diamonds, Circular Cut Diamonds, Briolette Cut Diamonds, Single Cut Diamonds, etc. What range of color of diamonds do you buy? We buy diamonds of every Color Grade from top D color, E color, F color (Colorless Diamonds), G color, H color (Near Colorless Diamonds), I color, J color (White Diamonds), K color, L color, M color (Very Faint Yellow Diamonds), N, O-P, Q-R (Faint Yellow Diamonds), S-T, U-V, W-X- Z (Light Yellow Diamonds), and even top light brown and brown diamonds. Who buys fancy colored diamonds? We buy Fancy Colored Diamonds in all colors described as Fancy Yellow Diamonds, Fancy Pink Diamonds, Fancy Blue Diamonds, Fancy Red Diamonds, etc. The level of color is stated as Fancy Light, Fancy, Fancy Intense, Fancy Vivid, Fancy Dark, and Fancy Deep. Which diamond clarity grades diamonds do you buy? We Buy All Diamond Clarity Grades from Flawless, Internally Flawless, VVS1 (very very slightly included),VVS2 (very very slightly included), VS1 (very slightly included), VS2 (very slightly included), SI1 (slightly included), SI2 (slightly included), SI3 (slightly included), I1 (Imperfect), I2, I3. Who buys treated or enhanced diamonds? We even buy some treated diamonds such as Laser Drilled Diamonds, Irradiated Diamonds, High Pressure High Temperature Diamonds (HPHT) diamonds if GIA certified. (Please Note: We do not buy Enhanced Fractured Filled Diamonds or Synthetic Man Made Diamonds). Who buys used diamonds or damaged diamonds? We Buy Damaged, Chipped, and Used diamonds. Who buys diamonds that need to be recut? We will purchase diamonds that are required to be re-cut. AGS American Gem Society Certified Diamonds, EGL European Gemological Laboratory Certified Diamonds, HRD Antwerp Institute of Gemology Certified Diamonds, GCAL Gem Certification & Assurance Lab Certified Diamonds, IGI International Gemological Laboratory Certified Diamonds, etc. We are buyers of colored stones including Rubies, Sapphires, & Emeralds. Cushion Cut, Emerald, Heart, Marquise, Oval, Pear, Princess, Round, Triangle with various color gem styles: Brilliant, Step, Mixed, and Cabochon. We are looking for large colored gems exceeding 5 carats to 20 carat +. Preferably certified by GIA or EGL USA. We buy various pieces of jewelry styles such as Modern Jewelry, Antique Jewelry, Estate Jewelry, and Period Pieces (Georgian, Victorian, Art Noveau, Edwardian, Art Deco, Retro), Diamond Necklaces and Diamond Bracelets, Wedding and Diamond Eternity Bands, Diamond Engagement Rings, Luxury Brands such as Tiffany & Co., Cartier, Harry Winston, Van Cleef & Arpels, etc. We buy diamonds and gems that are inherited, whether as part of a family heirloom collection or simply a gift from a loved one. Depending on the carat weight, color, cut and clarity of your diamond or gem, you can receive a significant income from selling your diamond online! The right diamond buyer, like The Diamond Trade, will ensure that you have the highest possible quote for selling your diamond.